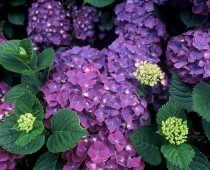 Back in 1999 I was asked by an international publisher to write a book about Hydrangeas. Pat Greenfield took the photo’s most of which were taken here at Woodleigh. That was the start of a new career. I enjoyed writing so much, I started on a series of three books on trees and shrubs, flowering shrubs, fragrant shrubs and trees and shrubs for foliage. The three books operate as one or can be used separately. Again the photo’s by Pat Greenfield are brilliant. Since then Pat and I have been busy again creating a new book on the icon plants of New Zealand. It is possibly the first book on New Zealand plants to include a range of exotics like Gorse !! !.